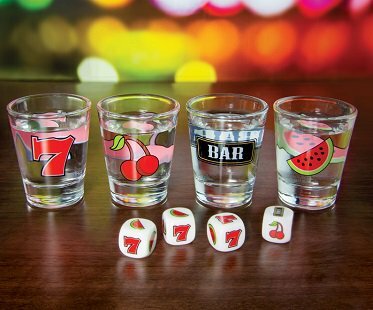 Hit jackpot every time you play with these fruit machine shot glasses! You get 4 glasses and 4 dice along with game play instructions. Great fun with friends!